Greig became a commentator following the end of his playing career, later emigrating to Australia. A long-term sufferer from epilepsy, he was diagnosed with lung cancer in October 2012. Greig died in Sydney, New South Wales, on 29 December 2012, aged 66, from cardiac arrest due to an apparent heart attack. Greig was born to a Scottish immigrant father and a South African-born mother, and was educated at Queen's College, Queenstown, South Africa. 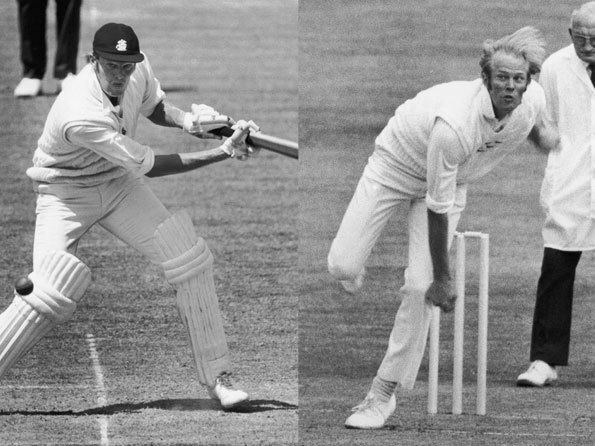 Many former Sussex players had been recruited to coach the cricket team at Queen's College—during Greig's schooldays, Jack Oakes, Alan Oakman, Ian Thomson, Ron Bell, Richard Langridge and Mike Buss all came from overseas for off-season work. All of them noticed Greig's developing abilities which, after a first-class debut for Border Province in the Currie Cup, led to a trial at Sussex when Greig was 19. Greig's father helped him decide between university study or pursuit of the Sussex offer. "He used to slam into me for not reading enough, for being generally immature. He would look at me sometimes and say 'Boy, when I was your age I was fighting a war', but in the end he grinned and said: 'Go over to England for one year, one year mind, and see what you can do'". Greig was now experimenting with finger-spin to complement his medium pace. He set off to the West Indies with the England team in early 1974 and ran straight into a major controversy. On the second day of the First Test at the Queen's Park Oval in Trinidad, the West Indies had cruised to a first innings lead of 143, thanks mainly to 142 not out from Alvin Kallicharran. With four wickets still in hand, the home team was in a dominant position when the last ball of the day was bowled to Bernard Julien, who blocked it past Greig (fielding in close on the off side) and then headed off to the pavilion with Kallicharran. However, Greig fielded the ball, whirled around, threw down the stumps, and appealed for a run out decision against Kallicharran. Umpire Douglas Sang Hue gave the batsman out, and a near-riot broke out in the crowd. The spectators stormed the ground and laid siege to the pavilion, calling for the decision to be revoked. Technically, the decision was correct as Sang Hue had not called time on the day's play, but Greig's actions were considered unsporting, and together with the crowd's reaction, the England captain revoked the appeal. Kallicharran was reinstated the following day, when he took his score to 158. The incident was controversial - some believing it a black stain on his character, others prepared to give him the benefit of the doubt. For his part, Greig claimed that his actions were not premeditated, that his back was to the play and he was unaware that proceedings were over. If his actions had been premeditated, they would have been rather reckless given the risk of stirring up the notoriously volatile Trinidadian crowd. England convincingly lost the Test and Greig failed with bat and ball. Greig had his first epileptic fit at the age of 14, during a tennis match. Successfully controlling the condition with medication and self-management, largely by sleeping as and when he could during Test Matches, few knew about it for much of his playing career. He was often forewarned by auras. In 1971–72, he collapsed on the field during his first match for Eastern Province and half a dozen teammates were required to hold down his large frame. The incident was explained away as heat stroke thanks to sympathetic media and team management. Returning from the tour of Australia in 1975, Greig had another epileptic fit at Heathrow Airport. His affliction became public during the Packer furore, when a number of commentators questioned his judgement in the matter and speculated that epilepsy impaired his ability to make decisions. 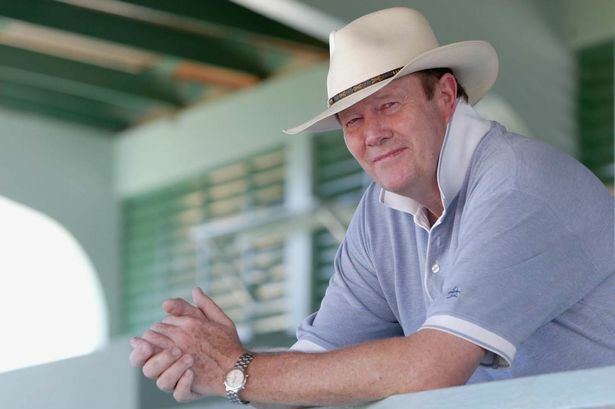 After forming a bond with the Nine Network's Kerry Packer during the World Series Cricket days, Greig was offered a "job for life" by Packer as a commentator during Nine's cricket coverage. Greig spent the rest of his life in Australia and continued his commentary role. During the 2006 Ashes Perth Test, on commenting on the need for England's Steve Harmison to intimidate Australia's number 11 Glenn McGrath, Greig indicated the need to "Touch him up, before rolling him over". Greig commentated for Channel Four in the United Kingdom and for Sky Sports' coverage of England's 2012 tour of Sri Lanka. He also hosted a regular weekly podcast called The Tony Greig Show for Cricinfo, covering international cricket matters and airing his forthright views in a section called "What's eating Tony Greig this week?". His love of the game may be encapsulated by a comment he made on Cricinfo in mid-2012: "Give your hand to cricket and it will take you on the most fantastic journey, a lifetime journey both on and off the field."